If you have ever needed to transfer your details to another person from your iPhone a new application has been developed to help you do it in a little more style. CardFlick has been created to allow you to design and create a virtual business card which you can then use to swap contact details with other CardFlick users with a simply swipe. If you need to send details to a person without the CardFlick app you can simply email it to them. To use the app you will need to signup for an account, but after that CardFlick allows you to choose from a number of card designs and all your contacts with CardFlick are synced to the cloud so you will never lose them. 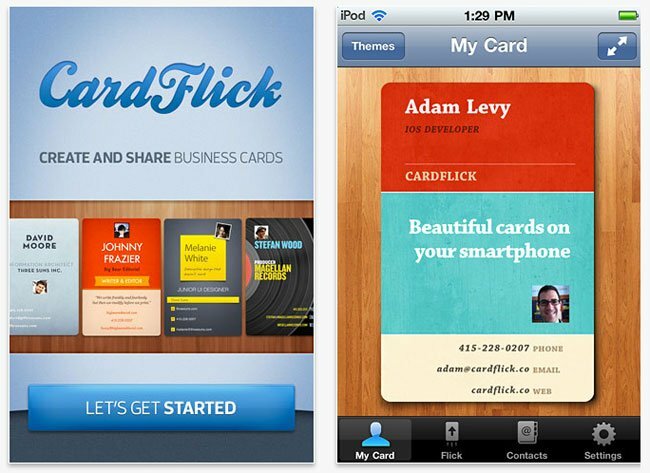 You can download the new CardFlick iPhone application from the Apple iTunes App Store now for free.